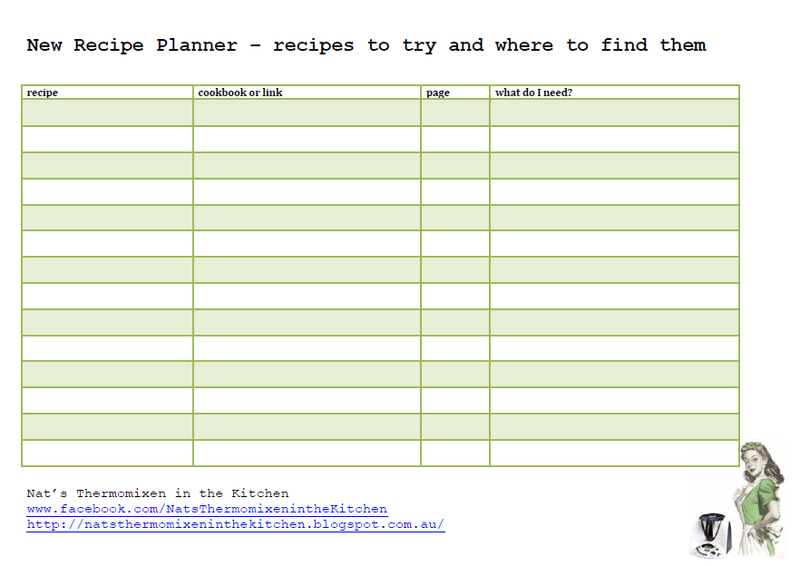 Over on my Facebook page I asked would anyone be interested in a free printable download to keep track of recipes you would like to try one day, and where to find them? Sort of like an inspiration sheet? The result was a resounding YES PLEASE!! I find I have so many recipes on my 'to try' list, and when it comes time for me to get creative or try something new I feel like I have to start all over again finding where the recipes are that interested me! So I whipped this up quickly for myself, and am happy for you to download and print it. Please keep in mind, I am just a regular mum of three kids 6 and under, thermomixen in my kitchen...so forgive my lack of graphic design prowess, but it's just a simple printable, right? Please, if you wish to share it can you please use the link to this blog post so I can see how useful it is and how many people use it? That may help me decide if I should do more sheets like this in future. I'd love it if you leave a quick comment if you use this!